Are you surrounded by stress? Do attacks press on every side? Psalm 125 affirms that you are surrounded, but what surrounds you is the peace of God. Few natural features appear as immovable as the solid rock of a mountain. Pilgrims making their way up to the temple lifted their eyes to see Mount Zion rising before them. The mountain embodied spiritual stability. Psalm 125 begins with God’s assurance that those who trust in the Lord enjoy spiritual stability in the present and for all eternity. from this time forth and forevermore (1-2, ESV). 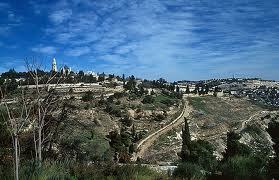 Mount Zion means much more than a mere hill in Jerusalem. The Bible often uses the term “Zion” to refer to the church. Even if a powerful earthquake would destroy Jerusalem and the physical hill known as Mount Zion would tumble, God’s church would still stand. No thing or person or spirit can bring down the church of Christ. It abides forever because God surrounds it now and forevermore. Yet there are times when evil seems to rule. But it is only temporary. their hands to do wrong (3, ESV). Wickedness may reign in a country or a community for a short while, but God will not allow evil rulers to remain in place and lead the righteous into sin. No one is good based on personal merit, but those whose sins have been forgiven are now “good” and “upright” in their hearts because of Christ’s merit. Those who depart into depravity and lead others into sin will themselves be led away. Unless they genuinely repent of their sin, God will lead them into the eternal judgment reserved for all evildoers. But God’s eternal peace will rest on his people. It will surround you now and forever! Peace be upon you!